लेखक सूची, समूह में सक्रियता के आधार पर प्रत्येक माह के अंत में अद्यतन की जाती है ..
Janardhan Bhardwaj गजेन्द्र द्विवेदी and 138 others joined "भावों के मोती" within the last two weeks. Give them a warm welcome to your community! 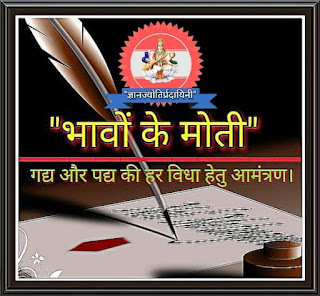 राजेन्द्र मेश्राम-नीलराजेन्द्र and 138 others joined "भावों के मोती" within the last two weeks. Give them a warm welcome to your community! Geeta Shukla Eti and 138 others joined "भावों के मोती" within the last two weeks. Give them a warm welcome to your community! 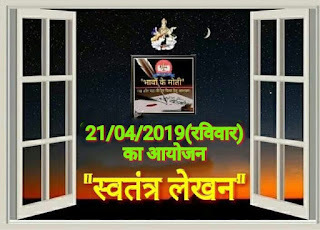 Preeti Rathi Neeta and 114 others joined "भावों के मोती" within the last two weeks. Give them a warm welcome to your community! Shilpi Kuldeep UpadhayayShilpi and 138 others joined "भावों के मोती" within the last two weeks. Give them a warm welcome to your community!